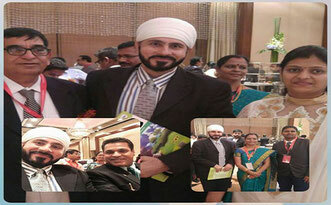 Once again, I had a chance to join the wonderful event of Indian Businessmen to Thailand. To received awards for their success in India, as well as seminar on topic, Thai-India Business opportunity @Holiday Inn Silom. I humbly appreciate H. E. Korn Dabbaransi, Former Deputy Prime Minister of Thailand and President Thai-India Friendship Association, for supporting such events, in past many years, enhancing the relationship between both the countries. Due to important mission abroad, His Excellency couldn't join this event but Excellency's kind wishes is always with every deligation.